Don't miss our December parts and service special. 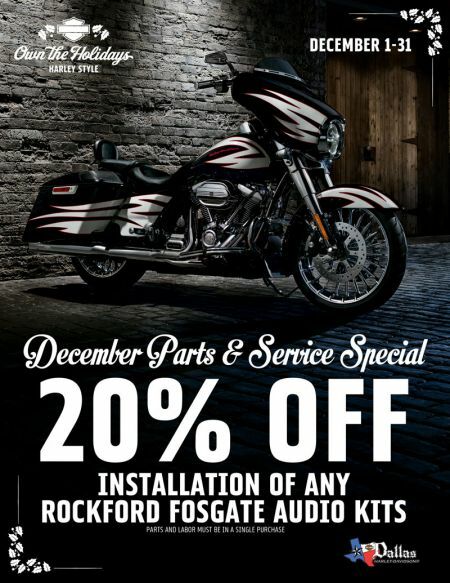 Get 20 percent off installation of Rockford Fosgate Audio kits. Plus check out our gift baskets for that last-minute Christmas present. Schedule your service at Dallas Harley-Davidson® today!